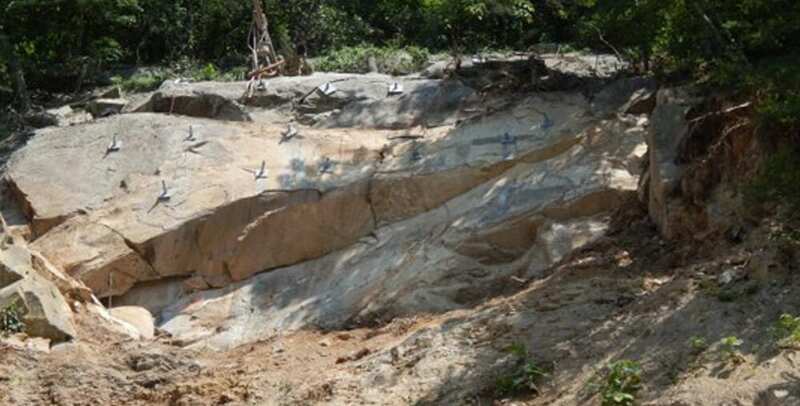 Another rockfall mitigation method to is to secure the rock material to the slope and not allow movement to begin. Common solutions include bolting large blocks to the slope’s surface, using high-tensile mesh and rock bolts to pin the material to the slope and prevent its movement; utilizing shotcrete to seal the slope’s face and prevent surface water entry; or utilizing chemical resins to ”glue” the fractured rocks together. GeoStabilization’s personnel will review the analysis data and choose the best solution for the customer’s specific application. GeoStabilization’s staff of engineers and rock remediation technicians will then utilize our specialized fleet of purpose-built limited-access rock drills to install the mitigation solution. 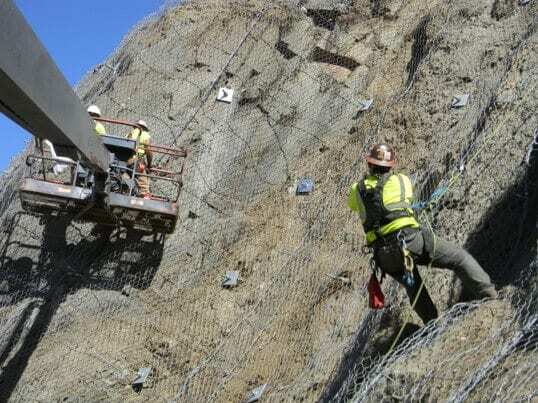 Our team, tools, and expertise make GeoStabilization a true one-stop shop for safe and economical solutions for all types of rockfall mitigation and rock slope stabilization.